Everlast Services has provided quality fencing, concreting and landscaping solutions to Point Cook for over 20 years. Everlast Services is a family owned company that has entrenched itself in the local community and we have our own steel-fabrication plant, allowing us to drive down our prices and give back to the local community by providing jobs. Our commitment to giving back to the local community doesn’t stop there. We have made a firm decision to only purchase Australian made and owned materials, because we believe that buying local is the best way to give back to the community that has given us so much. We have put a huge amount of effort into the selection of our team. To pull on the Everlast uniform you have to be passionate and willing to do whatever it takes to deliver exactly what the customer wants. We want everyone to have access to the Everlast quality and that’s why we created the Everlast price guarantee. We ensure you’re left with the perfect solution to your concreting, landscaping or fencing needs. Aluminium Slat Fencing: A sleek, modern looking option that is easy to maintain. Steel Fencing: You’ll be amazed by our steel fence creations. Swimming Pool Fencing: Beautiful fences that will meet all Australian Standards. Industrial Security Fencing: 20 years of experience has taught us how to keep your greatest asset secure. 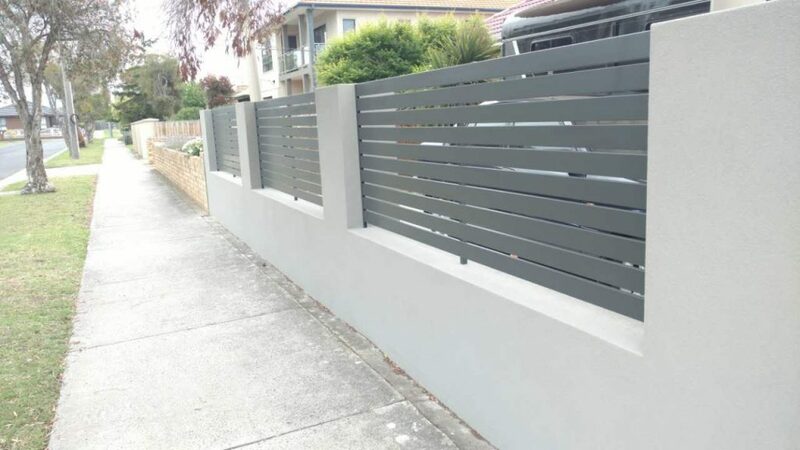 Colorbond Fencing: Everyone loves Colorbond and we know how to make it work for your fencing needs. Driveway Gates and Fences: Add value to your home and give it an entry-point to remember. Fencing Supplies: We make it all ourselves, so you know it’s the best. Aluminium Fence Panels: Our fabrication team has perfected the art of alluminium fence panel creation. Concrete Driveways: With Everlast Services on the pour, your driveway will last decades. Exposed Aggregate Concrete: All the benefits of concrete with an added visual and textural element. Painted Concrete: We can create whatever look you want, brick-border, custom stencil – the choice is yours. Landscaping Design: Your backyard can be so much more than just the space between your fence and your house. Turn it into a space to enjoy! Landscaping Installation: We can design and construct your new backyard, from the draining to laying the turf we’ve got you covered. Landscape Supplies: If you love getting your hands dirty and want to do your backyard yourself, visit Everlast for the best products at unbeatable prices. Timber Decking: If you want to extend your living space and provide a stylish, value-adding element you home contact Everlast. Pergolas: Our steel frame pergolas are perfect for any backyard, no matter how big or small.